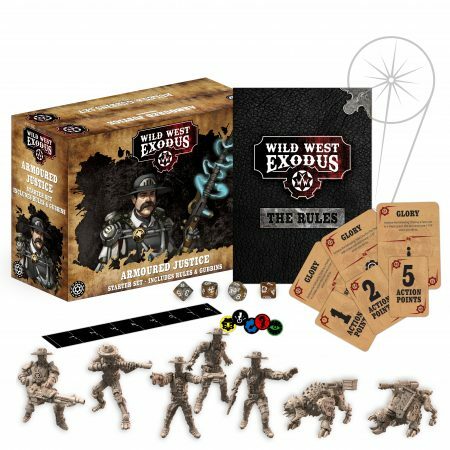 New Edition of Wild West Exodus Coming This Month! Wild West Exodus are very excited to announce that September sees the launch of its new edition! You can now pre-order Posse and Starter Sets for Warrior Nation, Enlightened, Union, Lawmen, and Outlaws, released at the end of September. The coming months will see more sets, particularly releases for the Order, Hex, and Watchers. These new Posse Sets are a fantastic milestone for Warcradle Studios as they include the first resin miniatures from their new state-of-the-art resin production facility. They plan on keeping everyone up-to-date on this exciting new development. Posse sets have been created to give you all the miniatures you need to get your favourite faction onto the tabletop. 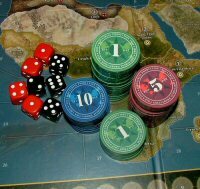 These are expanded further as Starter Sets which add to the Posse with the rules, dice, cards, tokens, templates and much more. If you’re a hobbyist who already has a bunch of miniatures that you’ll want to get playing with, the rulebook and the additional components are available in a box on their own called the Rules & Gubbins Set. Wild West Exodus is building up to something spectacular!